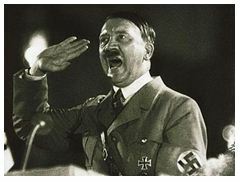 Adolf Hitler came to power by means of wits, not only was he very intelligent but he had a plan, and executed it. He preyed on the weak and vulnerable, setting up alliances with people in high places to do the ‘dirty work’. Thus securing his long time invasion plans. With most of Germany in a financial crisis and in fear of losing jobs Hitler decided to pounce. He told them that by joining forces with him, Germany would gain power, a power that had never been witnessed before. This movement began to gain momentum and before anyone knew it, the Nazi’s had gained power in parliament. Hitler was to be crowned chancellor, shortly before the president died in 1934. He reigned supreme in the race for presidency and took charge of the ‘monster movement’. Germany had no idea of what was yet to come, thinking that this would be a change for the better. It was the calm before the storm. To Germany’s astonishment, the storm was brutal with Hitler and his Nazi party trying to commit genocide by wiping out Jewish citizens. No one could stop his momentum now and Hitler knew it. He now had the power he needed to take over Germany and the rest of the world. He started by sacking Jews from their jobs, followed by the burning of their shops and finally setting up concentration camps. These were pretty much torture cells, not even the lowest of criminals deserved these conditions. It was the middle of winter when this took place and the prisoners were only given one pair of stripes, nothing that could keep the harsh winter wind out. They were hardly fed, just given enough to prolong the torture. In his eyes humans were created wrong, they were supposed to have blue eyes, and bright blonde hair… no exceptions! Hitler’s plans to set the rewind button and create humanity ‘as it should be’ were cut short. If it weren’t for certain people who had the will to stand up to this monster. Which minority these people were, he may have succeeded and exterminated millions more Jews than he already had. Hitler may come across as being corrupt but he wasn’t entirely, he didn’t pay the police to keep quiet, he didn’t use his power out of anger or a quest for popularity and greed. He was simply trying to dig Germany out of debt and restore peace to his country as he saw it; ordering the massacre of millions. In Hitler’s eyes his intentions were just, and he wasn’t the only one. Many German compatriots also showed support for his actions. If he was doing wrong should someone have brought it to his attention? Hitler’s motives are questionable but can be viewed from both sides. He could have been motivated purely by the power he had and the self-interest of living perfectly. Or he could be innocent to the fact that he could not see straight. He was on a mission to restore peace, getting lost halfway through the journey. It is unanimous when it is stated that Hitler was a monster, killing millions of innocent Jews. But it is questionable to say that his thoughts weren’t meant to be ‘monstrous’. He was a bad influence, he also showed that he wanted to change Germany for the better not the worse. In doing so committing sins that aren’t even thought about. He had an incredible power over the German public but chose to use it in an inhumane way, therefore labeling Adolf Hitler as ‘the bad’. Hitler was a very smart but deceptive man his rise to power was more by force than being a favourite in Germany’s eyes until he convinced them to believe his beliefs. Hitler came to power by destabilising the German society by force with his gang of thugs. The German people were also at a very vulnerable point due to the world economic crisis which put thousands of Germans out of jobs. They thought they might end up back to the days of World War 2. Hitler took a prime opportunity by rallying the spirits of the Germans and telling them they could gain more power. With all Hitler’s inspirational speeches, the NAZI party gained a number of seats in the Reichstag but were still a minor party. The president at the time, Hindenburg, unknowing of Hitler’s plans, invited Hitler to become Chancellor because he would have rather Hitler as a friend than an enemy. When the President died in 1934, Hitler wasted no time in taking the Presidency for himself and the NAZI party. Hitler now had power over Germany to do whatever he pleased until the world later stepped in. Sadly, most of what Hitler did was bad. His orders led to millions of deaths and nearly the determination of the Jewish race. Hitler rounded up all the Jews living in Germany, sent them to Concentration camps all around the country to work for nothing and live in horrible and un-humane conditions. These people were not treated like humans they were given barely any clothes for a cold winter, barely any food and very poor living conditions. Hitler’s intentions were to rid Germany of any imperfections and have a perfect race, everyone having Blonde hair and Blue eyes. Hitler’s actions were luckily stopped but while his actions were in place, they resulted in the deaths of millions of innocent people just because they didn’t have blonde hair or blue eyes or just because one man thought that a certain race weren’t human but monsters. Hitler showed many signs of being corrupt, trying to wipe out an entire race being one of them. 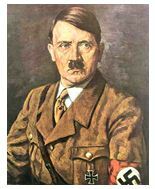 In Hitler’s eyes his intentions were good, many Germans also believed that what Hitler was doing was good but the rest of the world thought that his actions were completely wrong and had to be stopped. 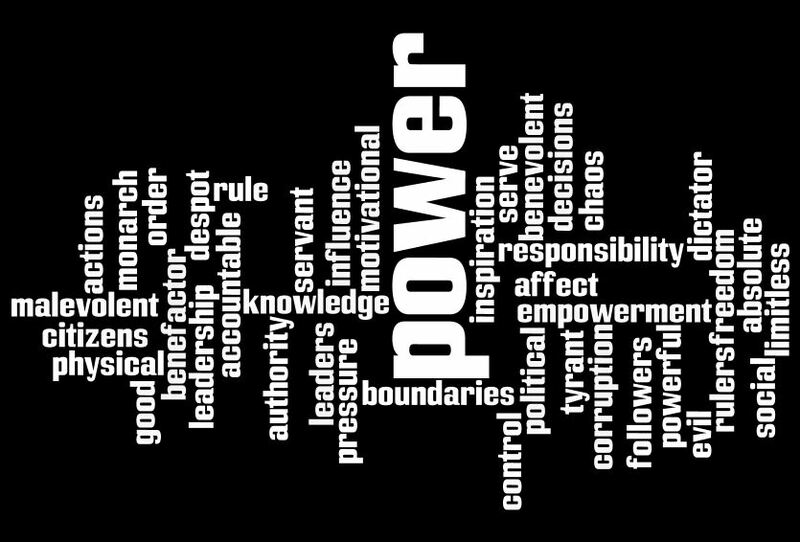 Hitler was also motivated by his own self-interest because he craved power and wanted everyone to live like he wanted. I think that, and many would agree with me when I say that Hitler is definitely monstrous due to the things he did during World War two and the horrible things that he did to the Jews just because of their race and was a very bad influence on the German society. Some of the Germans believed what he was saying so he did influence the German public into doing what he wanted and carrying out his plans for the Jews and the world.